· Affiliated to the Essex County Association of Trades Councils. · We expressed support for the strike action by unions in the public sector in defence of public sector pensions and opposing privatisation of services. · During the year I sent a number of messages of solidarity to trades unionists in struggle, both in the UK and internationally. · We maintained our support for the Leigh Folk Festival, and held a stall at the festival over the weekend of 22nd and 23rd June. The Trades Unions have now been recognised as the major sponsors of the Festival. 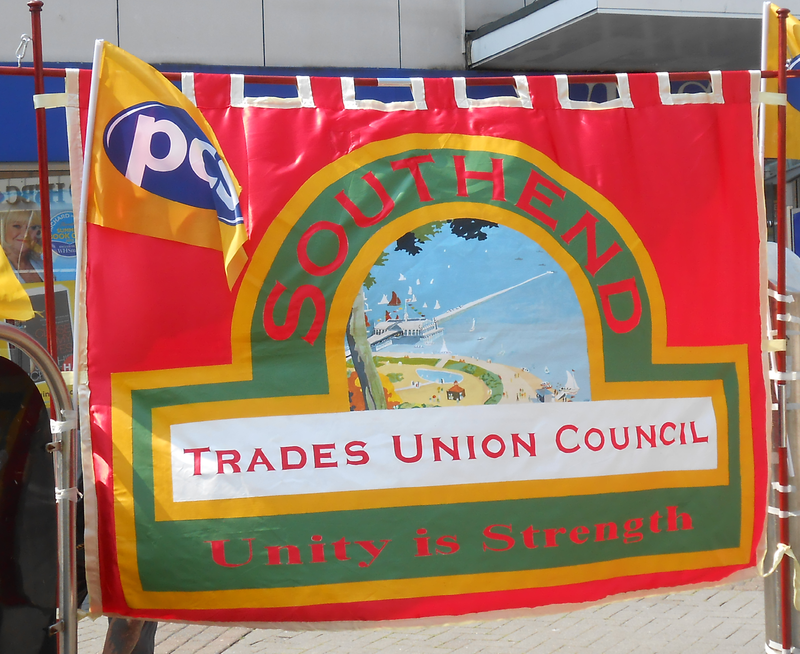 · On 4th September, we held a public meeting to encourage workers at Southend Airport to join trades unions which was addressed by our Regional Secretary, Megan Dobney. We were able to meet a group of workers, already trade union members, and offered them advice on their issues. During 2013, the Southend TUC has supported the ongoing campaign against the austerity policies of the Government. We have maintained our profile both within our local community as well as in the labour and trade union movement. We are in a good position to continue our campaigning activities during 2014.